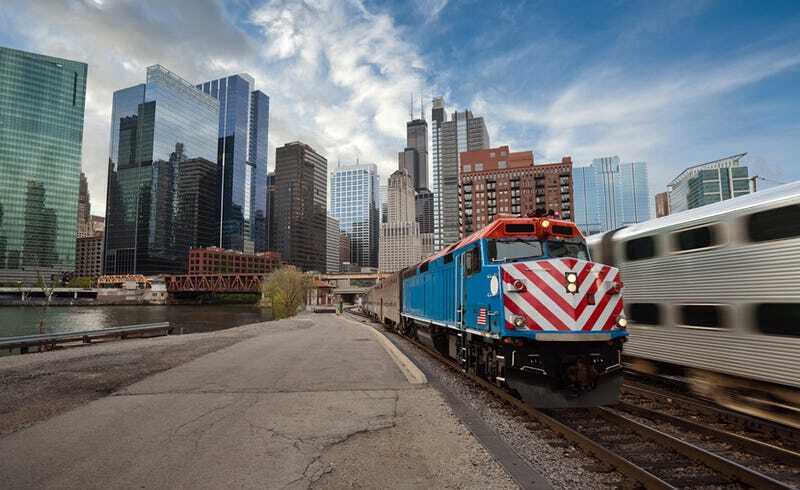 A near-sub-zero Chicago suburb seems like an unlikely place to find railroad cars full of Mexican beer. But, on any given night at Proviso Yard in Northlake, Illinois, the on-duty conductors are responsible for ensuring that up to 64,000 cases of Corona, Modelo Especial, Pacifico, and Victoria from Piedras Negras (via a massive warehouse nearby) don't freeze up in the frigid air. Slush is okay; ice—which occurs at 13 degrees fahrenheit—is not. Crain's Chicago Business has a neat profile of Bill Diamond, who's been a railroad man for 37 years. Diamond keeps the cars moving when the temperatures drop. Once they arrive at the yard, he suits up—steel-toed boots in plastic bags in rubber boots, and layers of windbreakers, quilted jackets, fleece-lined hats, and a strategic winter beard to keep the face warm—after which he goes about sorting the cars with a remote-controlled operator belt before they're unloaded. Unfortunately, the article doesn't say what would happen if a car were really to freeze. Skunked suds? Foamy explosion? Lager glacier?